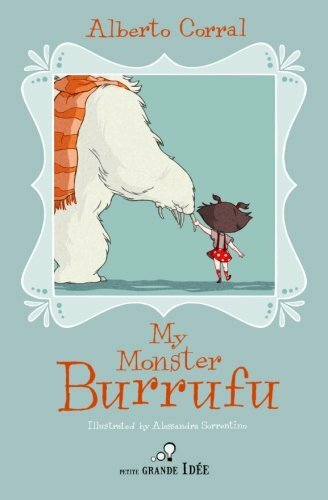 I just received a review copy of a book called My Monster Burrufu. It's a children book written by Alberto Corral with illustrations by Alessandra Sorrentino. It's 102 pages, for children around 9-12. Alberto works at DreamWorks Animation and is the workmate of Jason Brubaker who authored ReMIND. The story is about a little girl named Olivia who moves to a new house and discovers a monster named Burrufu living in a secret attic. It's a charming story about their friendship, one with some surprises as the monster has some secrets of its own. The illustrations are so beautiful I want to squeeze them. The book's an enjoyable read. Recommended. You can check out the website for My Monster Burrufu for more information. There's also a Burrufu facebook page. This is beautiful. Looks really charming. Is it mostly text though? Or is it illustrations with text underneath? What a sweet review, thank you so much! !